Shiretown is a leader in Four Season Sunroom builds. 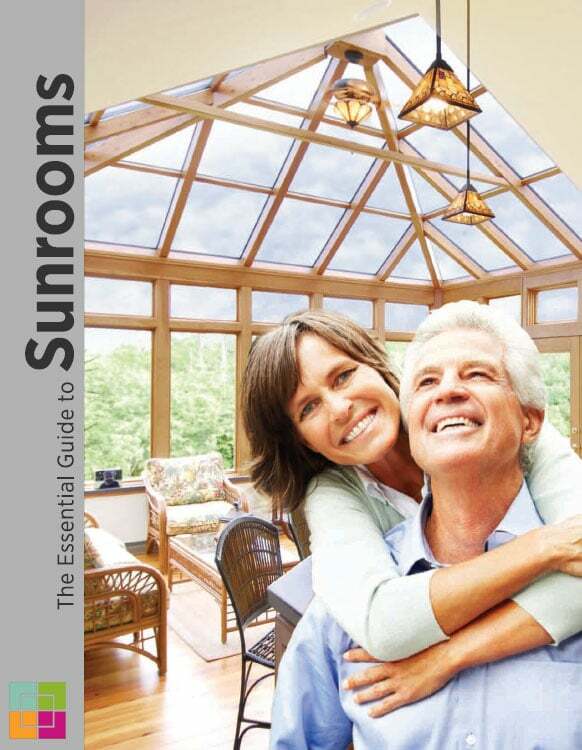 Please download and explore the Four Season Sunroom brochures below to learn about the possibilities that await your space. A well-educated customer is our best customer! If you should have any questions about our Four Season Sunroom offerings, please click here to get a Free Estimate! Pre-engineered designs: All Four Seasons Sunrooms designs are inspected and approved by licensed engineers to ensure that they are safe and strong. You have the peace of mind that your building has been designed and tested and certified to be trouble-free. Can your “ordinary” builder promise you the same? Pre-fabricated: All Four Seasons Sunrooms are prefabricated in our state-of-the-art factory to ensure fast, trouble-free installation. This means our crews spend less time on your site and you can enjoy your new addition sooner. 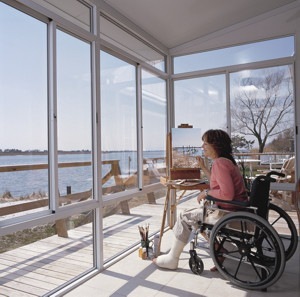 Low Maintenance: All Four Seasons Sunrooms are manufactured with low-maintenance aluminum or vinyl exteriors. No year-after-year scraping and painting for you! 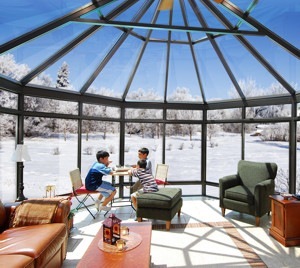 Exclusive CONSERVAGLASS SELECT™ Only Four Seasons Sunrooms has an insulated, tempered safety glass made exclusively to meet the demands of sunrooms and conservatories. CONSERVAGLASS SELECT™ keeps you warmer in winter and cooler in summer. Most Accredited — Only Four Seasons Sunrooms windows and doors are tested, certified and/or qualified by all these independent agencies and programs: ENERGY STAR, American Architectural Manufacturers Association, National Fenestration Ratings Council, International Code Council Evaluation Service, California Housing and Community Development Factory Built Housing Program, and the Florida Building Commission. Transferable Lifetime Limited Warranty. CONSERVAGLASS SELECT™ is covered against any manufacturer’s defect that obstructs the view through the glass. This warranty covers not only the original purchaser, but is transferable to future homeowners. This warranty provides for 100 percent glass material replacement for 20 YEARS from the time of complete installation and 50 percent coverage for the life of the room. 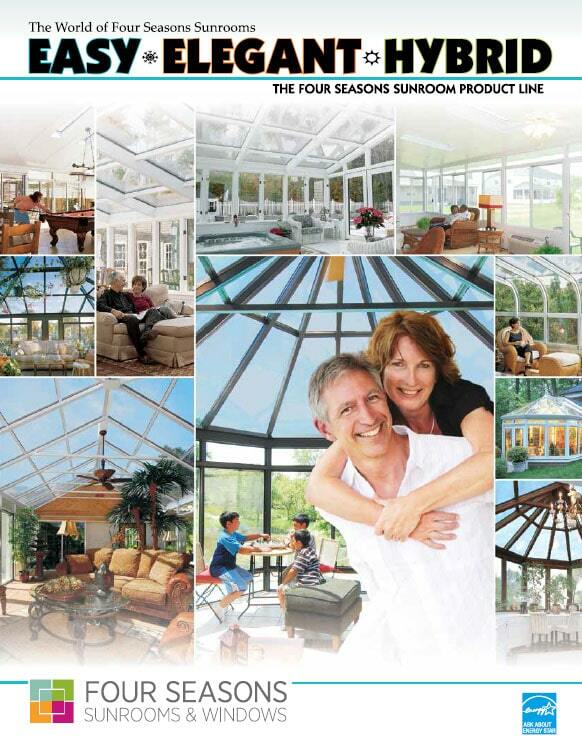 Top Quality Installation: Four Seasons Sunrooms only accepts the finest craftsmen to install our product. There are no fly-by-night “tailgate jockeys” on our crews. And Four Seasons has an extensive training program, not only for our installers, but for our design consultants too! Enjoy the winter holidays basking in the warmth of friends and family as you watch the snow fly all around you. You feel like you’re in the middle of a romantic snow globe scene, but you’re perfectly warm and dry and comfortable inside your beautiful sunroom addition. Think you’ll feel this way in an “ordinary” room addition of 2-by-4s, plywood and drywall? These sensations are only available from the comfort of your Four Seasons Sunroom or Patio Room addition. Surrounded by Four Seasons exclusive CONSERVAGLASS SELECT™, you’re as safe and comfortable as you could be. But it’s the views! Ahhhh … the Views … that make the difference! With panoramic views of the surrounding landscape, from horizon to sky, you feel like you’re one with nature, but protected from some of its less attractive traits. No cold, no heat, no mosquitoes. In a Four Seasons Sunroom, you can commune with nature in climate-controlled comfort.